GREENWOOD VILLAGE, Colo., Nov. 1, 2018 /PRNewswire/ -- In keeping with tradition, Red Robin Gourmet Burgers and Brews is celebrating Veterans Day by giving back to the brave men and women of the military. On Sunday, Nov. 11, the Gourmet Burger Authority™ is honoring all veterans and active duty military guests with a FREE Red's Tavern Double™ Burger served with Bottomless Steak Fries® at participating Red Robin restaurants nationwide. "We look forward to expressing our gratitude and appreciation for military veterans and those currently serving our country on Veterans Day," said Dana Benfield, senior vice president and chief marketing officer at Red Robin. "Not only is it a special day for these men and women, but for everyone at Red Robin as we have the opportunity to say, 'thank you' for their dedication, service and sacrifice." Red Robin's commitment to military guests extends beyond a free burger with Bottomless Steak Fries on Veterans Day. Veterans, retired, and active duty military members, along with their parents and spouses, can sign up for the Red Robin Royalty® rewards program to receive exclusive offers and perks throughout the year. For more information about Red Robin'sVeterans Day offer, visit www.redrobin.com/veteransday. To sign up for Red Robin Royalty® and become eligible to receive additional benefits from Red Robin throughout the year, visit www.redrobin.com/royalty. 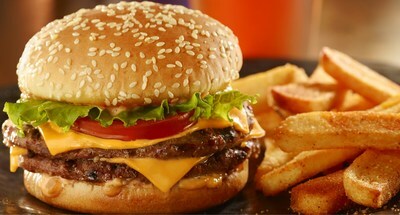 Red Robin Gourmet Burgers, Inc. (www.redrobin.com), a casual dining restaurant chain founded in 1969 that operates through its wholly-owned subsidiary, Red Robin International, Inc., and under the trade name, Red Robin Gourmet Burgers and Brews, is the Gourmet Burger Authority™, famous for serving more than two dozen craveable, high-quality burgers with Bottomless Steak Fries® in a fun environment welcoming to guests of all ages. At Red Robin, burgers are more than just something guests eat; they're a bonding experience that brings together friends and families, kids and adults. In addition to its many burger offerings, Red Robin serves a wide variety of salads, soups, appetizers, entrees, desserts and signature beverages. Red Robin offers a variety of options behind the bar, including its extensive selection of local and regional beers, and innovative adult beer shakes and cocktails. It's now easy to take Red Robin anywhere with online ordering for to-go and Gourmet Burger Bar catering pickups through Yummm2Go. There are 570 Red Robin restaurants across the United States and Canada, including Red Robin Express® locations and those operating under franchise agreements. Red Robin… YUMMM®! Connect with Red Robin on Facebook, Instagram and Twitter.